Is it just me or is any one else thankful for the Super Bowl Power Outage of 2013? First and foremost – the game up until that point was flat out boring. I mean, it’s like San Fransisco forgot where they were. And I’m a 49ers girl from way back (I’m pretty sure my fandom is solely based on the fact that a cute boy let me wear his 49ers Starter Jacket [remember those?] once in middle school). Secondly, (and more of what this post is all about), it gave the world, or the US at least, the chance to pause and joke about it. I mean, once I stopped holding my breath and praying that we weren’t about to witness some horrific terrorist attact, I thoroughly enjoyed perusing Twitter and Facebook to see what other folks thought about the outage, the game, and the commercials in genteral. And as I read (along with Ayesha who was seated next to me on the couch reading her own Facebook and Twitter comments), I was overcome by this feeling of commeraderie. An internal “It’s A Small World After All” kinda glow. I mean, here we were, in our pajamas, watching the Big Game and eating nachos and wings with friends, and through the wonder of technology (Trey’s never gonna let me live down using that phrase…) we were enjoying one-liners and quips from Steve Martin, Neil Patrick Harris, Dave Ramsey, and dear personal friends from a thousand miles away. 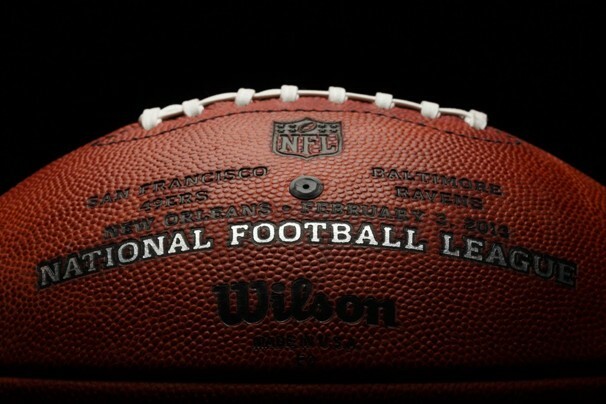 @AyeshaSchroeder – Wow #SuperBowl I was rooting for the Ravens, but now I kind of want SF to win! @SteveMartinToGo – Thank God I have this “Superdome Lights-On” iPad app. @DaveRamsey – Super Bowl needs an envelope for their electric bill? @ActuallyNPH – All the lights are out!! It’s pandemonium!! Thank God we have our Beyonce finger lights! Justin Seay – I sure hope leon sandcastle falls to the panthers in the draft…woot woot. Blair Hamilton – Beyonce was so fabulous she blew a fuse- Holt McCarley. Oh, and just in case you were wondering, M&Ms was my favorite commercial of the night.